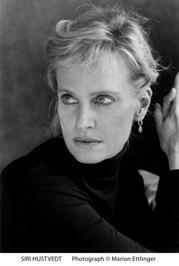 Like her husband Paul Auster, Hustvedt employs a use of repetitive them Hustvedt was born in Northfield, Minnesota. Her father Lloyd Hustvedt was a professor of Scandinavian literature, and her mother Ester Vegan emigrated from Norway at the age of thirty. She holds a B.A. in history from St. Olaf College and a Ph.D. in English from Columbia University; her thesis on Charles Dickens was entitled Figures of Dust: A Reading of Our Mutual Friend. Is this you? Let us know. If not, help out and invite Siri to Goodreads.